Rachel Pick of Motherboard recently wrote an article about Greater Manchester’s Fire and Rescue Service using drone technology. While firefighters in California are being hindered by hobbyist drones, in stark contrast, the firefighters of Greater Manchester’s Fire and Rescue Service have established their own Air Unit. This Air Unit currently uses their drone, outfitted with an infrared camera, to identify hot spots in a fire. Capable of reaching heights of 425 feet and sustained flight times of 35 minutes, the Air Unit drone can provide valuable imagery and data without any risk to human life. When it comes to fighting wildfires, hobby drones have caused a lot of harm, thanks to some idiots in California. A bill is even being introduced into the Senate that would ban privately-owned drones from being flown near wildfires and other natural disasters. But firefighters in the Manchester area have figured out how to use drone technology to their advantage, using a battery-powered quadcopter to help them monitor a massive blaze in the city center. Greater Manchester’s Fire and Rescue Service has established its own Air Unit, a drone with an infrared camera that can reach heights of 425 feet, and stay aloft for 35 minutes at a time. I was able to identify the following video from the BBC, titled “Drone footage of Manchester fire shows flames in the roof.” This video shows video, captured by drone, that clearly identifies all of the fires hot spots. Firefighters have been dealing with a huge fire in a seven-storey building in Manchester city centre. 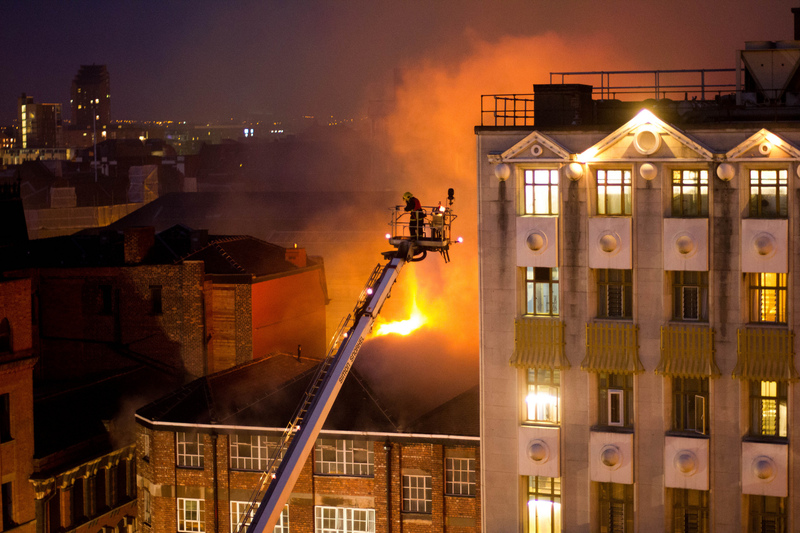 The blaze, at the former CWS building near Victoria railway station, began at about 17:30 BST. Huge plumes of smoke could be seen across the city as the fire was monitored from above by Greater Manchester Fire and Rescue. A drone flew over the blaze and captured footage. This is a great use of drone technology and I hope this is an example that can be emulated by our firefighters here in the United States. 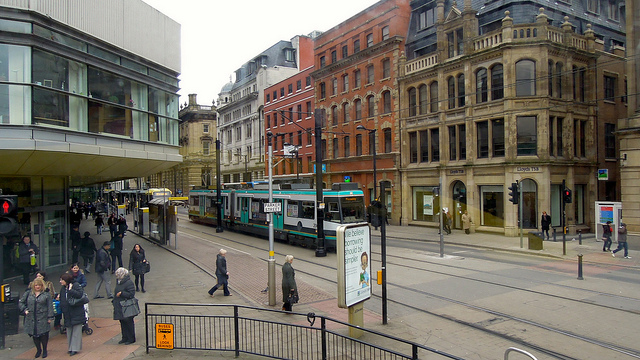 Greater Manchester is a metropolitan county in North West England, with a population of 2.7 million. It encompasses one of the largest metropolitan areas in the United Kingdom and comprises ten metropolitan boroughs: Bolton, Bury, Oldham, Rochdale, Stockport, Tameside, Trafford,Wigan, and the cities of Manchester and Salford. Greater Manchester was created on 1 April 1974 as a result of the Local Government Act 1972; and designated a City Region on 1 April 2011. Greater Manchester spans 493 square miles (1,277 km2), which roughly covers the territory of theGreater Manchester Built-up Area, the second most populous urban area in the UK. It is landlocked and borders Cheshire (to the south-west and south), Derbyshire (to the south-east), West Yorkshire (to the north-east), Lancashire (to the north) and Merseyside (to the west). There is a mix of high-density urban areas, suburbs, semi-rural and rural locations in Greater Manchester, but land use is mostly urban — the product of concentric urbanisation and industrialisation which occurred mostly during the 19th century when the region flourished as the global centre of the cotton industry. It has a focused central business district, formed by Manchester city centre and the adjoining parts of Salford and Trafford, but Greater Manchester is also a polycentric county with ten metropolitan districts, each of which has at least one major town centre and outlying suburbs.